I used to hate basil. Thank God I grew out of that phase of stupidity. Dr. Andersen served this Warm Spinach and Basil Salad with our Christmas Eve dinner, right after the Oyster Stew and perfectly timed just before the Barefoot Contessa Lamb that was slow-roasted until the meat fell apart into the gorgeous, gamey equivalent of cotton candy. The salad is something like the spinach salad with warm bacon dressing you always have, but really, nothing like it at all. 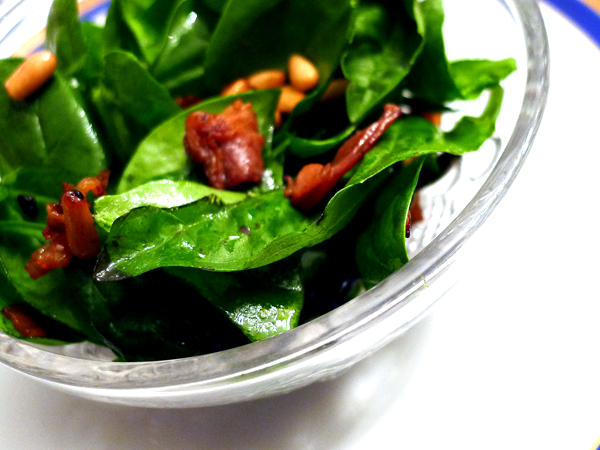 Toss the spinach and basil together in a large salad bowl. Heat oil in medium skillet over medium heat. Add garlic and pine nuts and saute until nuts begin to brown slightly. Stir in prosciutto and cook 1 minute more Season to taste with salt and pepper. 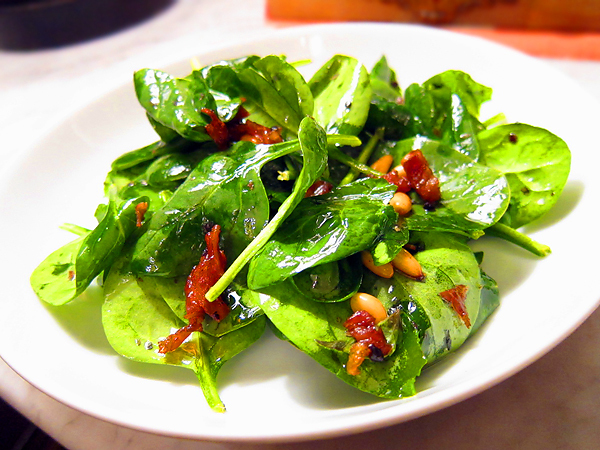 Toss spinach and basil with warm dressing and sprinkle salad with Parmesan. Serve immediately and pass the peppermill.